Central air conditioning systems are ideal for large homes with existing ductwork. 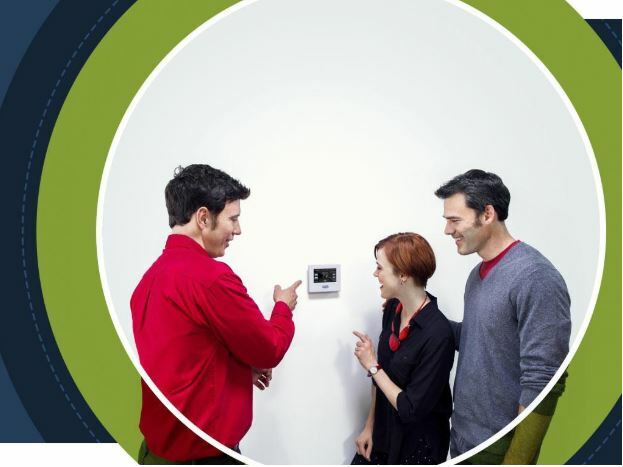 With good quality zone control systems, you can have customizable room temperatures, all with a single air conditioner. Since the entire home is cooled by a single unit, keeping your central air condition at peak efficiency is important. The following are some tips on how you can run your central AC more efficiently. Use Your Fans – Ceiling fans or standalone fans allow cool air to circulate faster within a room. If you’re just started using your air conditioner, fans help cool the room faster. Keeping the air moving means you can set the central air conditioner at a lower temperature and still keep your indoor temperatures comfortable. Don’t Fiddle With the Controls – Upon turning your central air conditioner on, set the temperature to what you’re normally comfortable with. Some homeowners “ease” their air conditioners in by turning it on at a lower temperature (or too high, to accelerate cooling), then change it to normal later. Fiddling with the controls can overwork the air conditioner and doing this often can affect its overall efficiency. Clean or Replace the Air Filters – Dirty filters can block proper airflow into the air conditioner. The reduced intake rate would push the air conditioner to increase its workload, consuming more electricity and potentially causing damage, not to mention shortening its life span. By simply cleaning or replacing the filters once a year, you can get a lot of mileage from your central air conditioner. Scheduled Maintenance – Sticking to scheduled maintenance, conducted by a certified HVAC technician, is the best way to keep your AC in its best working condition. Choose a technician who has experience working not just with the air conditioning unit itself but also with ductwork, zone control systems (“dampers”), and thermostat repair. Addressing such problems at their earliest stage can prevent small leaks in the ductwork from developing into bigger problems. OK Heating and Air Conditioning has the installation, repair, and maintenance know-how to deal with any air conditioning issues. We can help ensure that your air conditioning system is always at its peak efficiency. Call us today at (925) 337-8319. You can also fill out our contact form to schedule an appointment.